Collecting is a matter of authenticity, of creating new identities, both of the objects collected and, by extension, of the collector. Passion and Profit provides a range of ethnographic examples, both historical and contemporary, and also includes a selective analysis and personal evaluation of the increasingly rich and varied literature on collecting. The collectibles discussed in Passion and Profit are not only elitist cultural objects such as works of art (ancient, modern or tribal), antiques and books, but also non-elitist objects such as stamps, postcards, plants, and other mass- produced items. The central research question is: What is the cultural phenomenon of collecting all about? Or, more specifically: What moves collectors? In addressing this question, this book aims to be a substantial contribution to the collecting literature from an anthropological point of view. 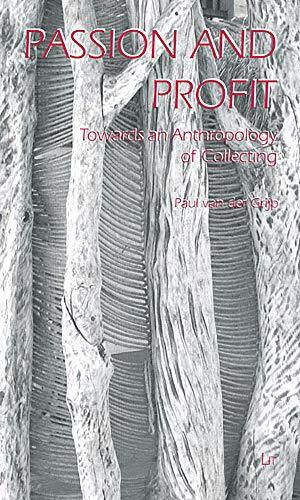 Paul van der Grijp is Professor of Anthropology at the University of Science and Technology in Lille, France, and participates in the (CLERSE) research program on Culture, Patrimony and Memory. He also is a member of the Research and Documentation Center on Oceania (Maison Asie Pacifique) in Marseilles. His previous books include Islanders of the South (1993) and Identity and Development (2004) published in the Netherlands.